Paid time off is one of the most time-intensive process for the HR department. 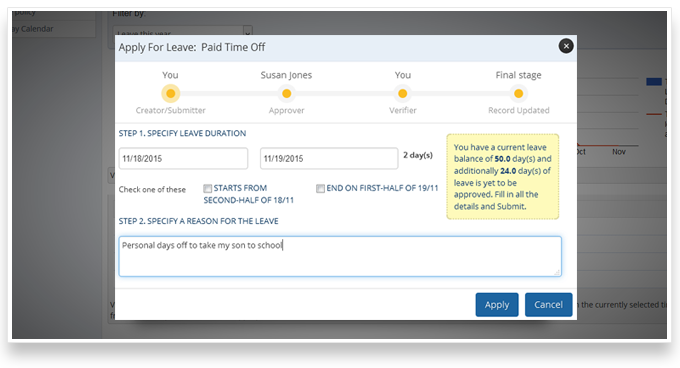 Empxtrack Time Off module can capture various types of time-off requests, support multiple approval processes, display status and accrued balances. The module helps in cutting down HR transaction time and leads to significant employee satisfaction. 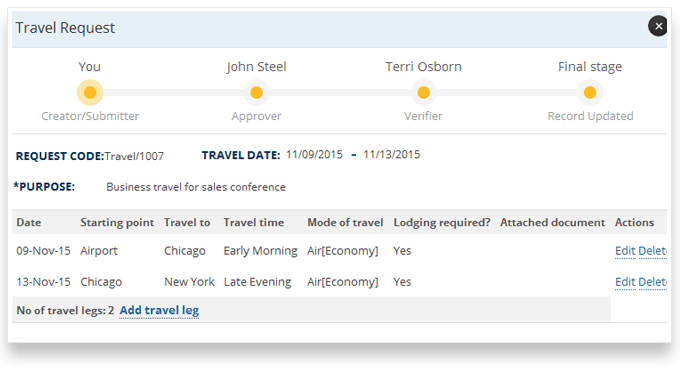 Our Travel and Expense module allow employees to submit their travel and expense requests as per the HR guidelines. Employee can attach claim documents with the request and payments can be made directly through payroll. Replacement of exiting employee with alternate employee. Employees can submit queries and tickets to HR for timely action. The HR Help Desk module can handle requests of various types such as resources, letters, training, complaints and issues and many other configurable features. 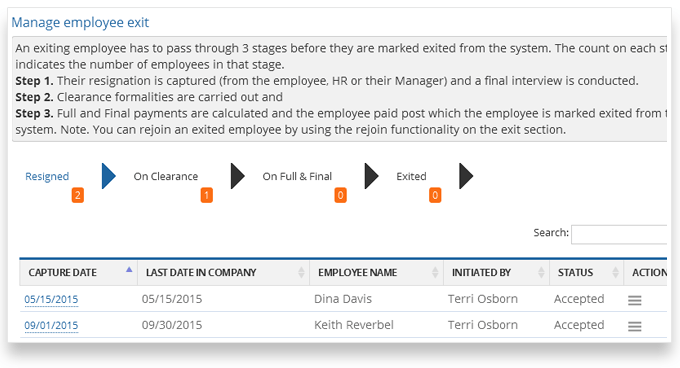 It can act as a one-stop solution to manage Employee-HR interactions. With Timesheet module, you will have accurate information on the projects and activities where employees are spending their time. This can help you in aligning employees to activities that are important to your organization. Automate Transactions with Empxtrack Workflow Module and Reduce Costs. Integration with email and mobile friendly application ensures that approval do not get blocked when your managers are traveling or on vacation. 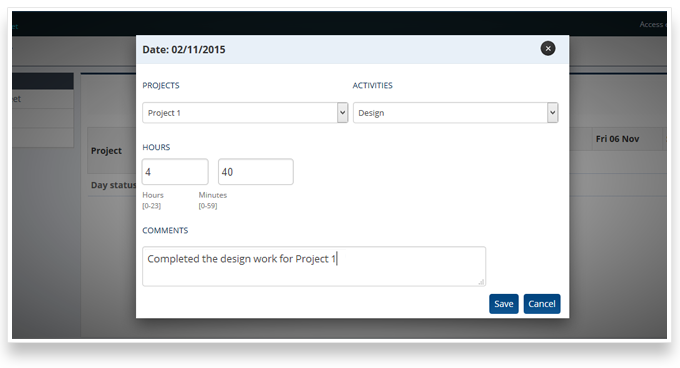 You can build your own workflows in Empxtrack to map to your existing processes. 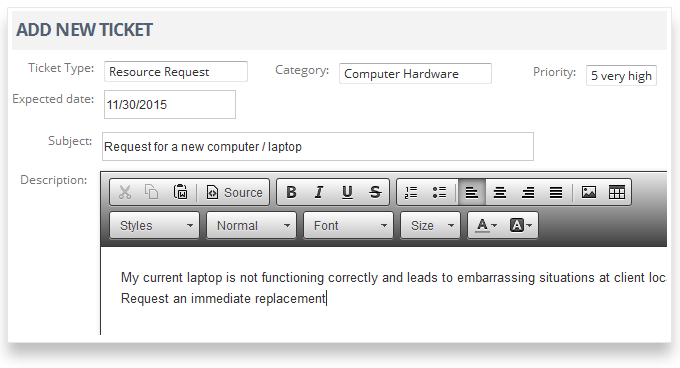 Check status of activities in real-time and analyze response time for approvals. Increase responsiveness and employee satisfaction. View dashboards and run analytics such as Bradford Factor to project trends and any sudden changes in employee activities. Apply different rules for different groups of employees.